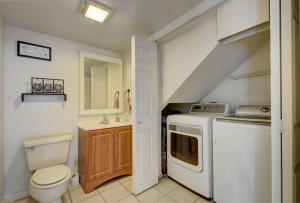 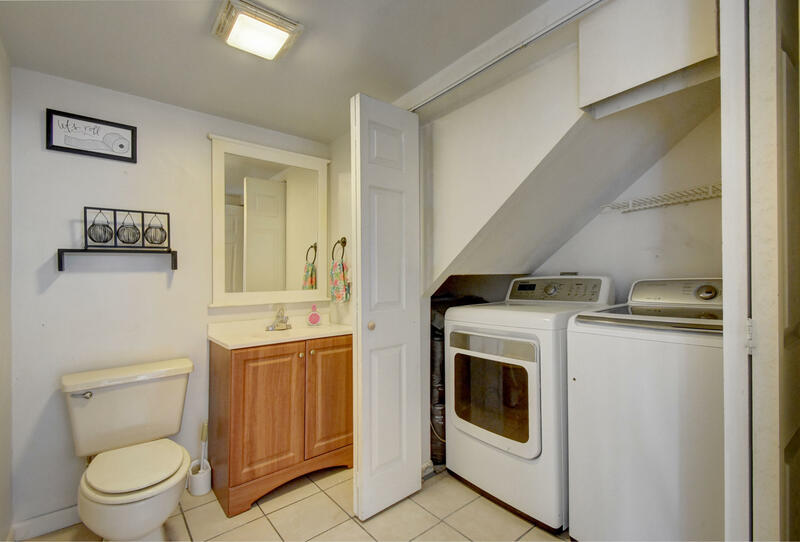 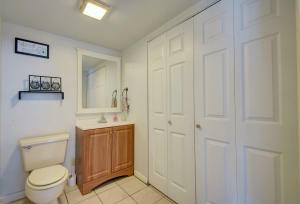 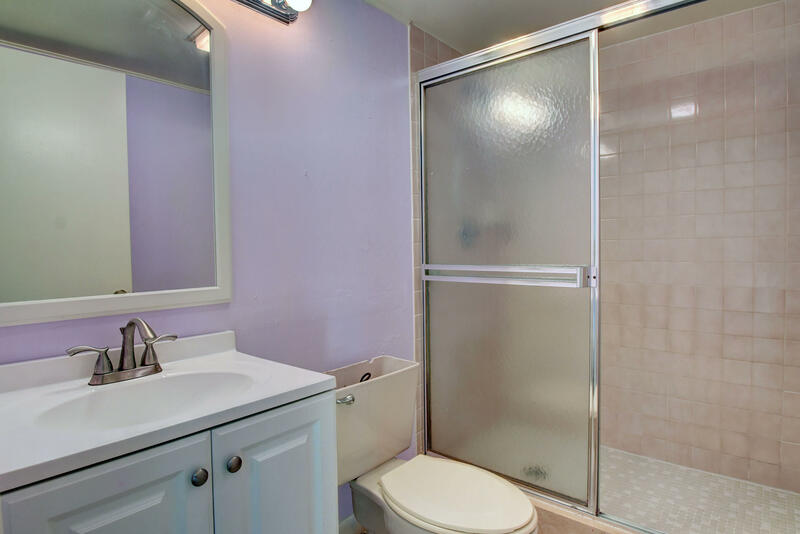 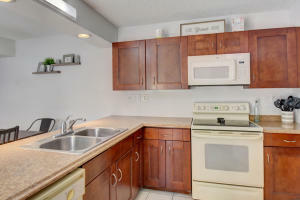 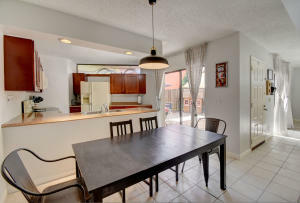 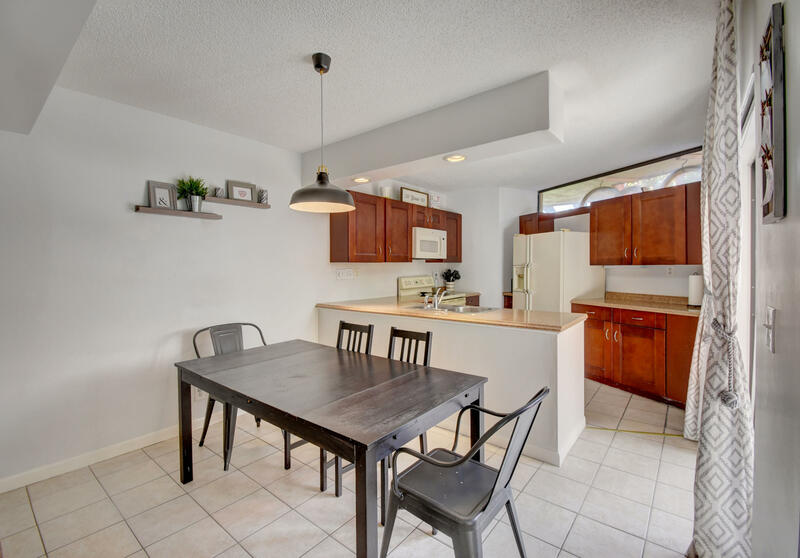 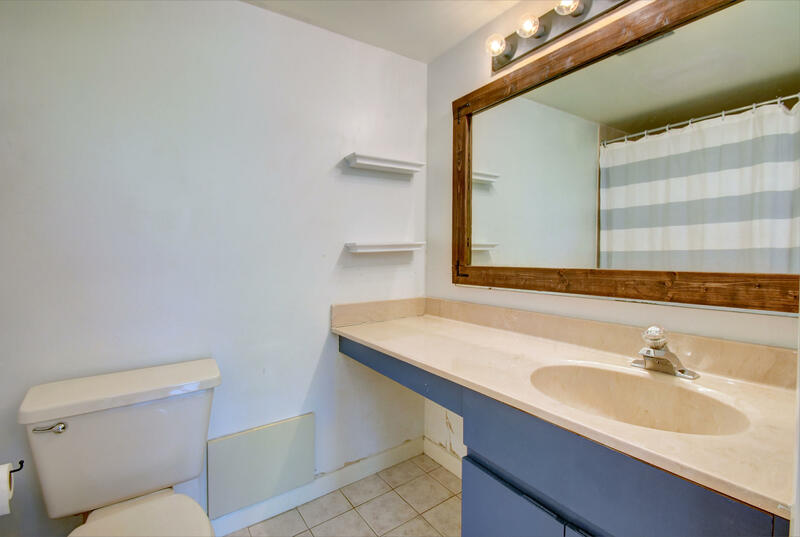 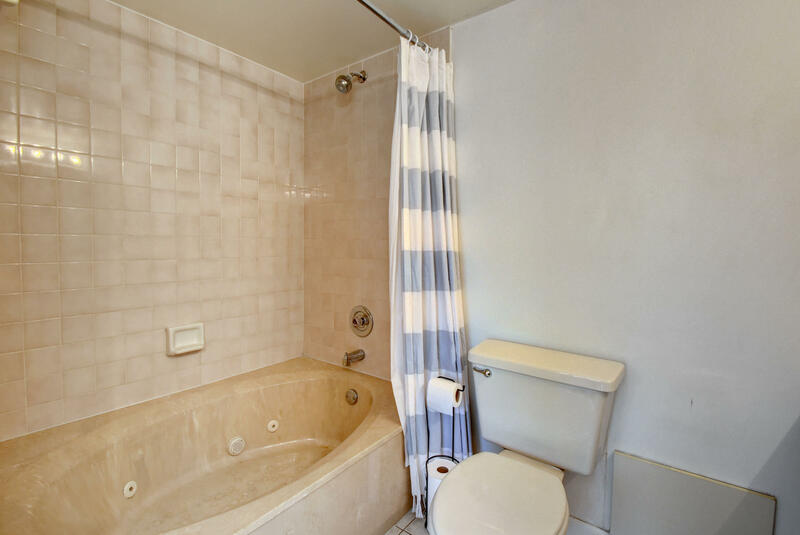 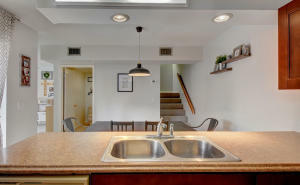 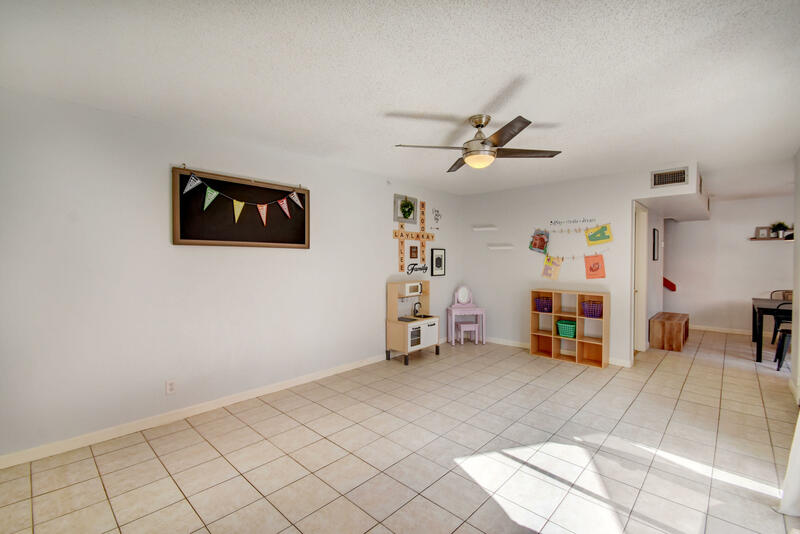 Tucked away, quiet 2 bedroom/2.5 bath Townhome with terrific flow and light in FAMILY AND PET FRIENDLY neighborhood. 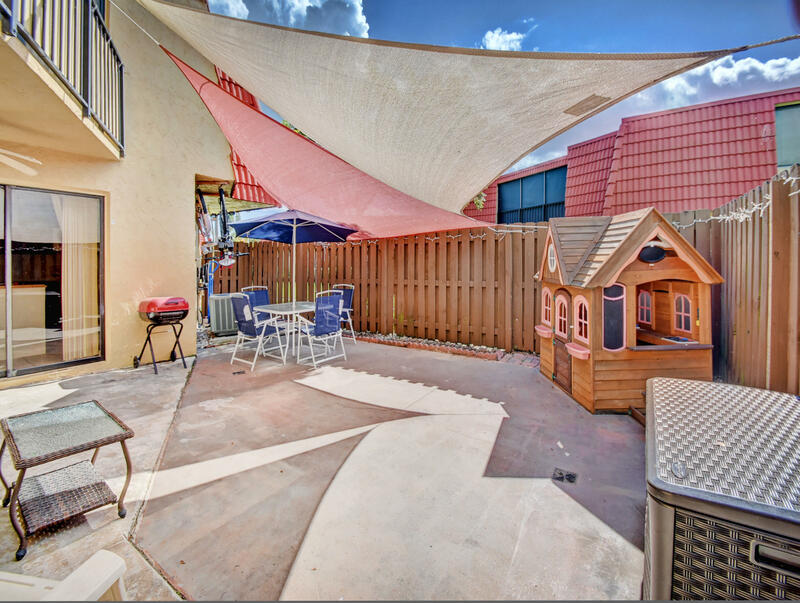 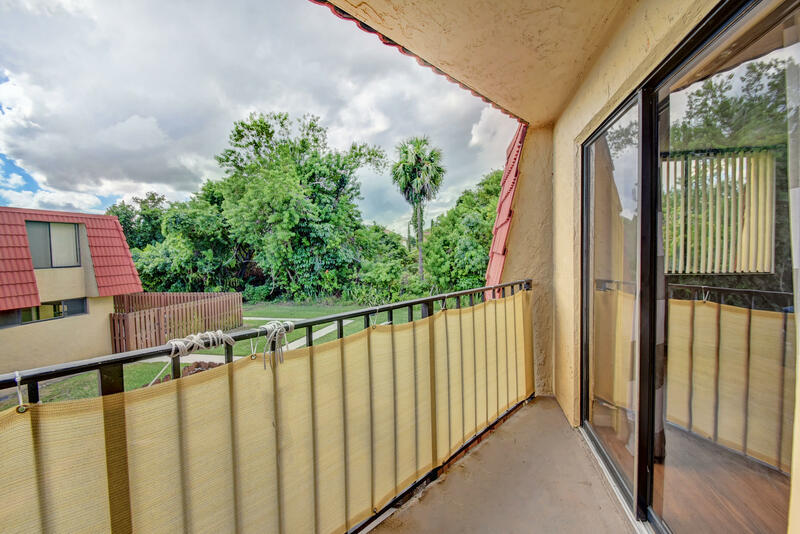 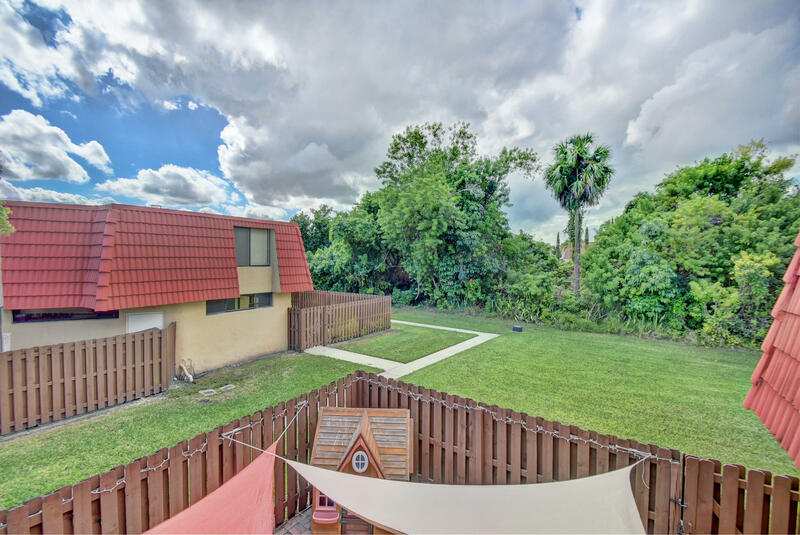 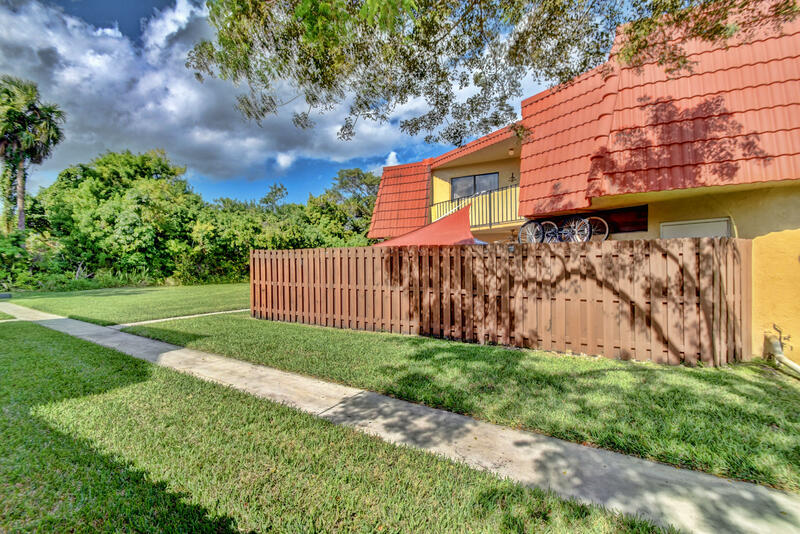 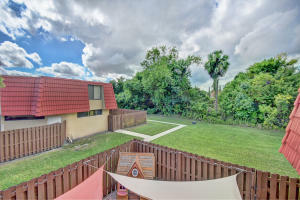 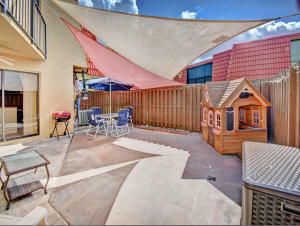 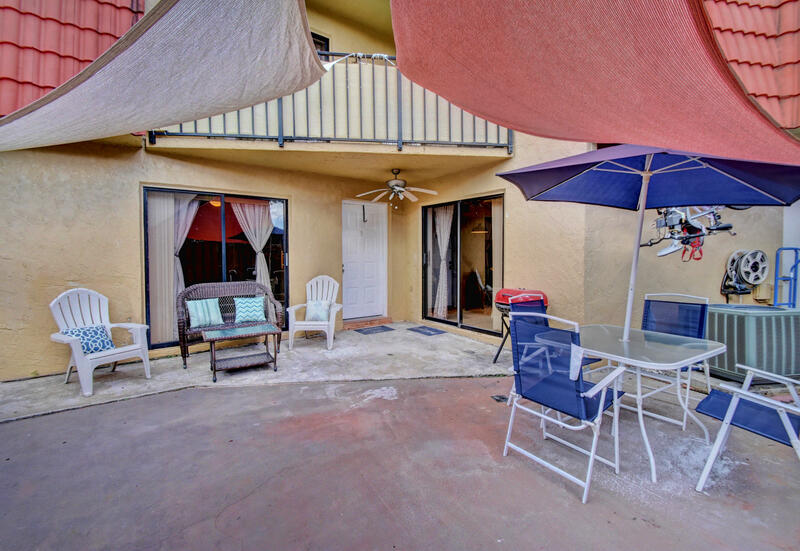 Private, fenced courtyard patio with UV protection sail shades; large, off-the-beaten track grassy area next to Townhome with woodsy views. 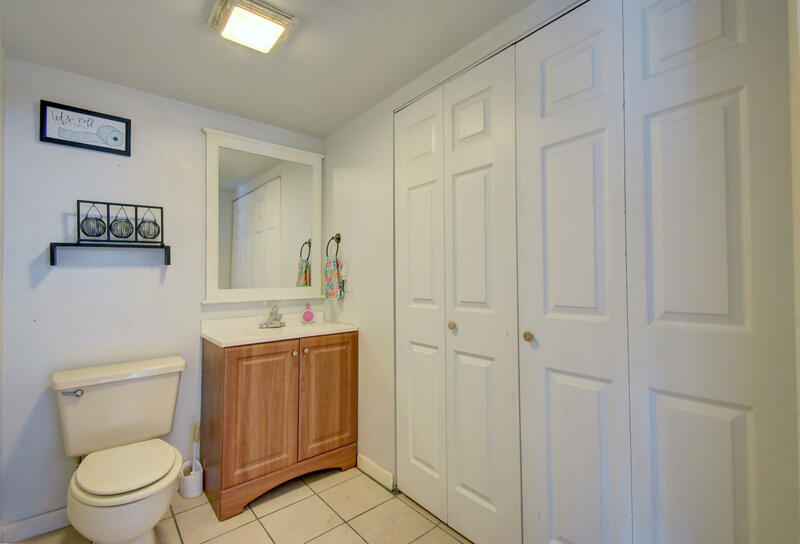 Lake is steps away. Neutral tile on first floor; laminate in both bedrooms. 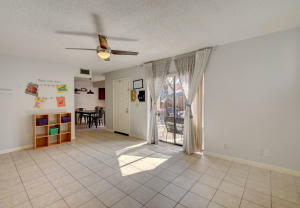 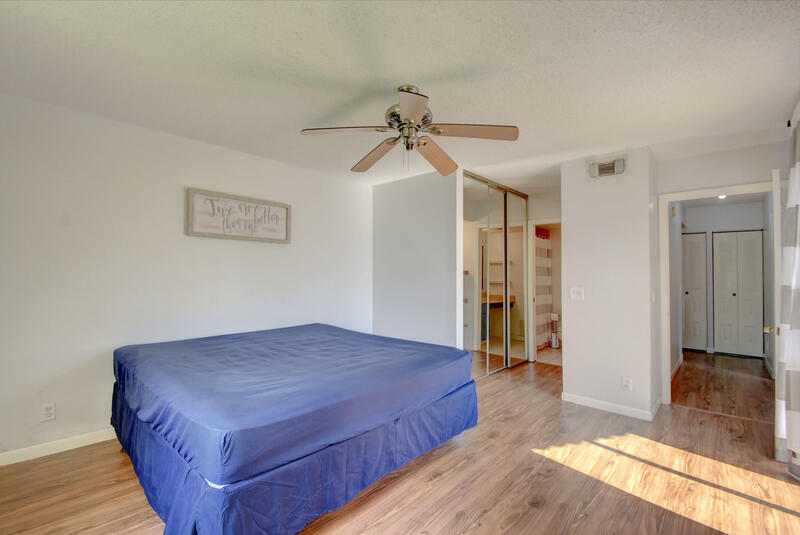 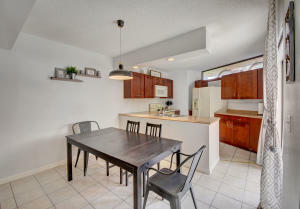 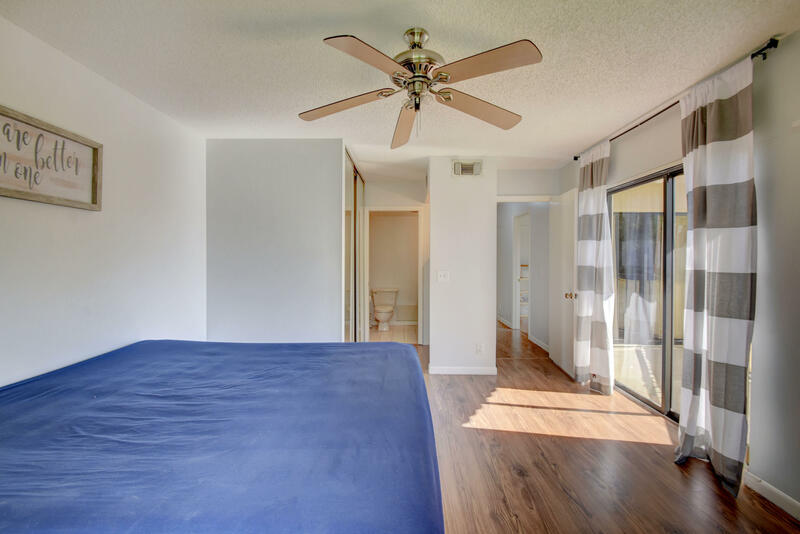 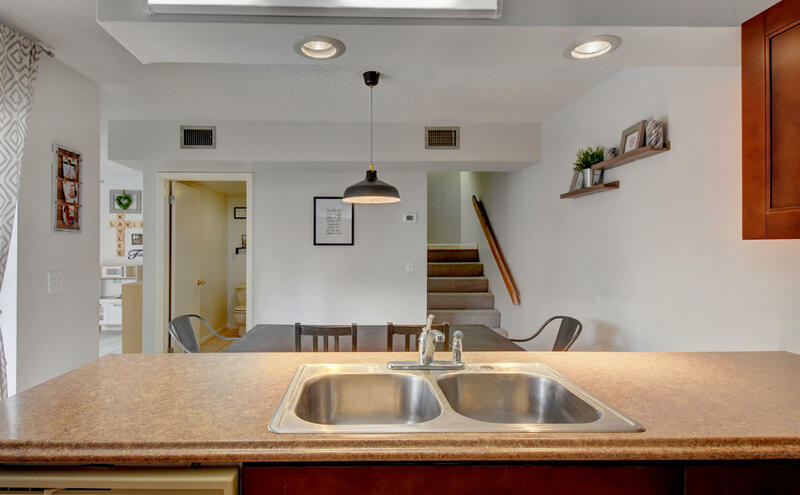 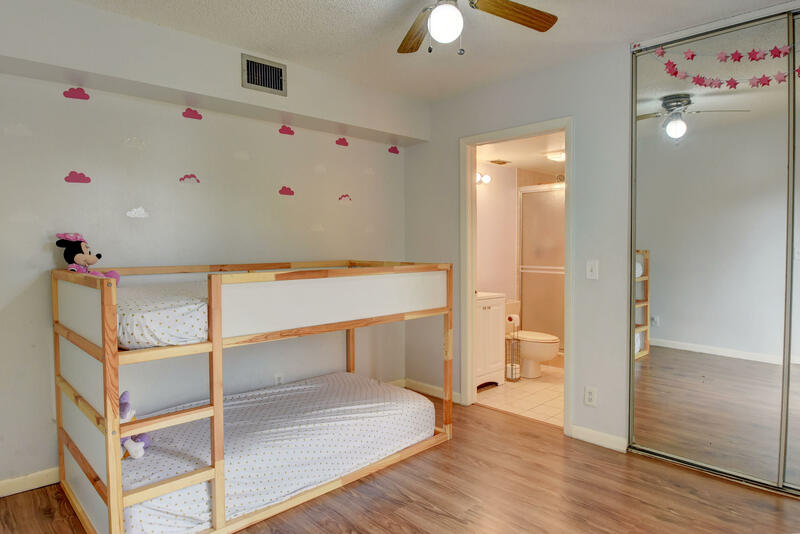 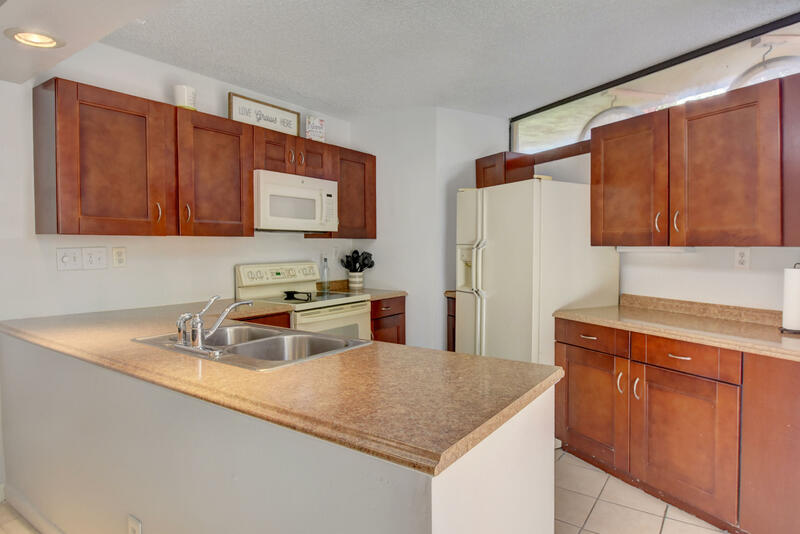 Open kitchen (upgraded cabinets and countertop) with separate eating area; downstairs guest bathroom; walk in closets.Each bedroom has its own bathroom and shares a Juliet balcony (with patio weave privacy screen) offers great views; Community pool, tennis and racquetball. 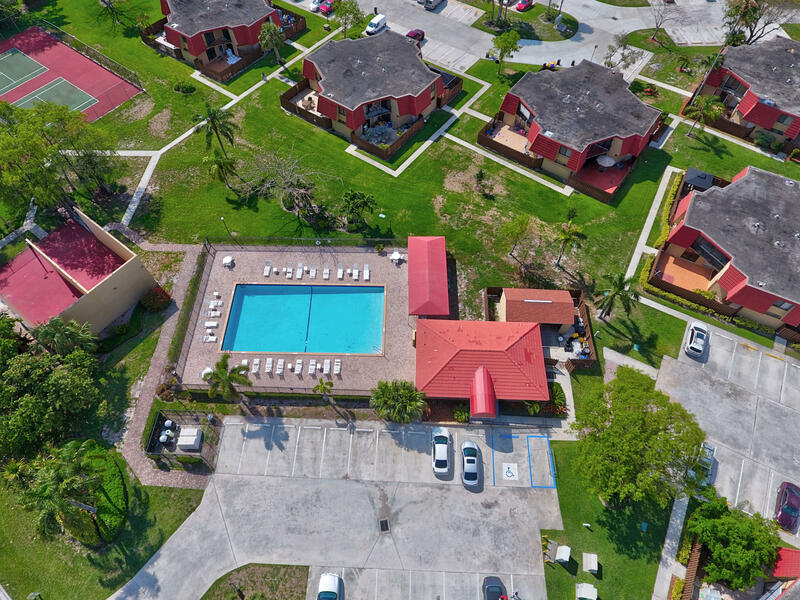 Low HOA. 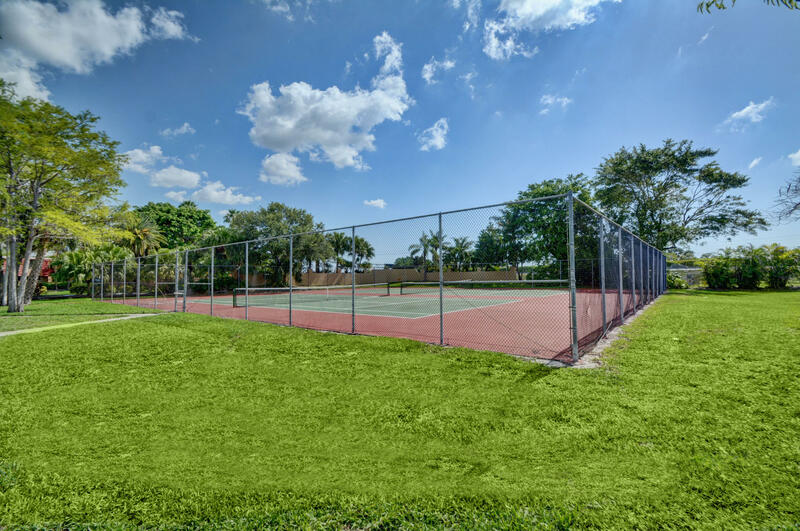 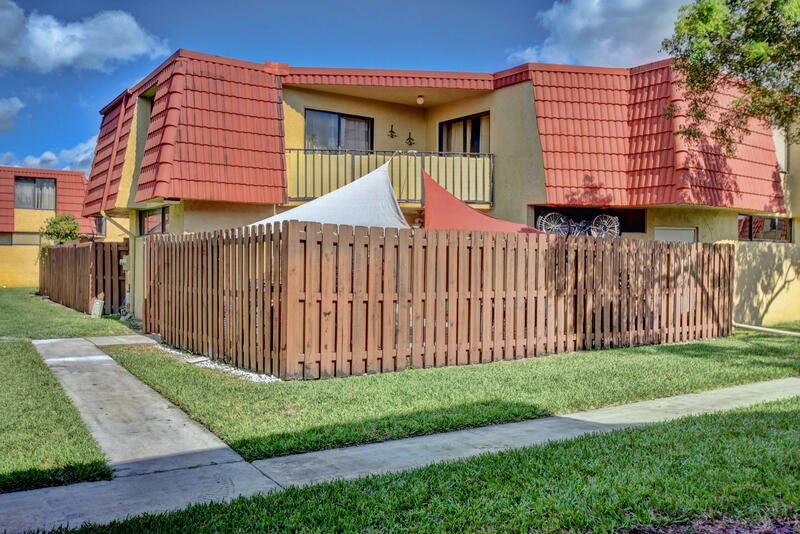 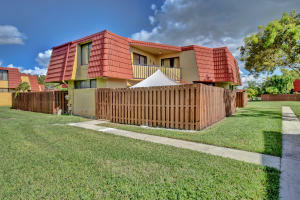 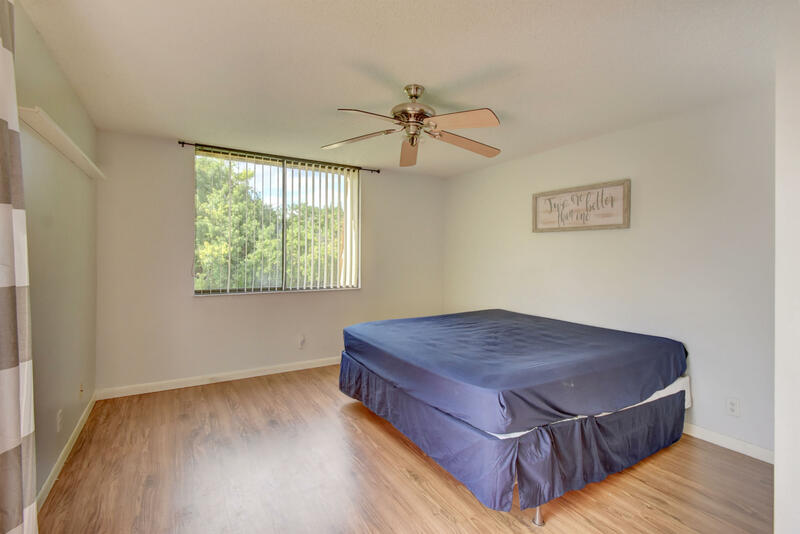 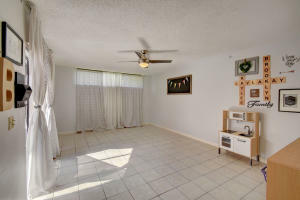 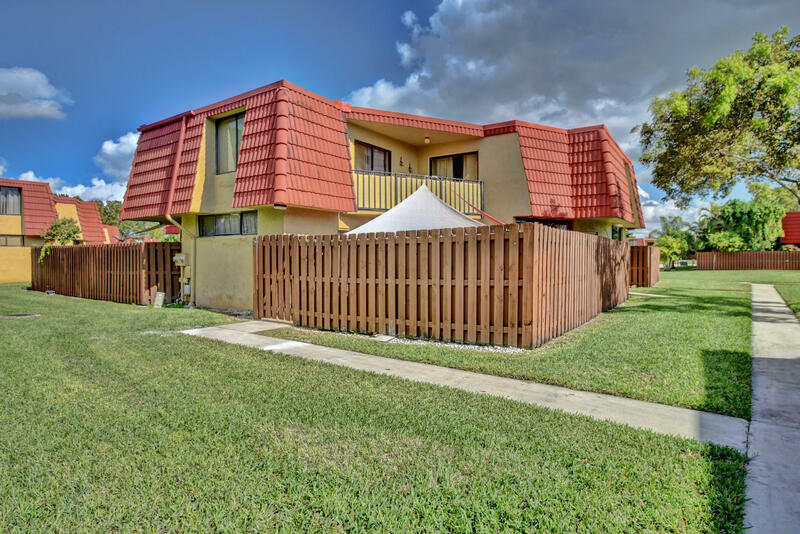 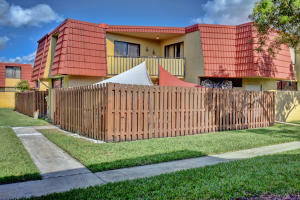 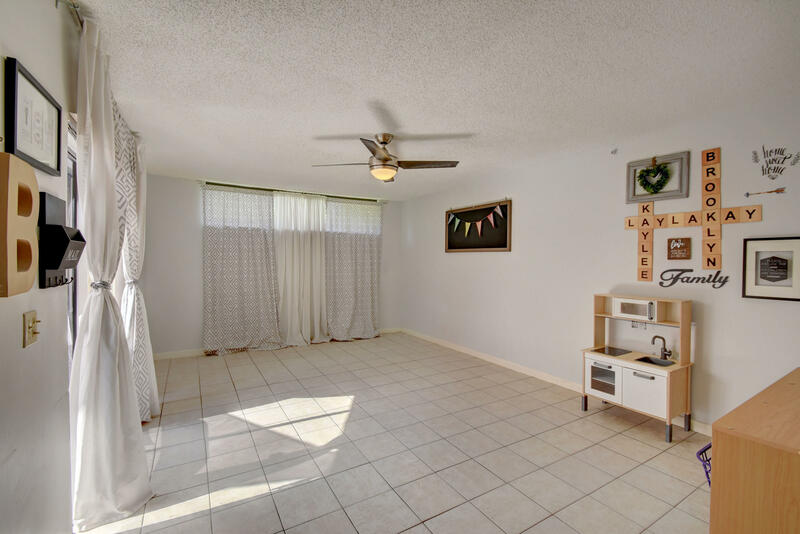 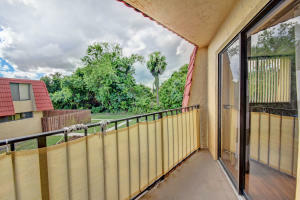 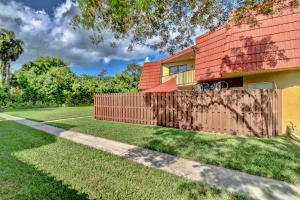 Great central location with EZ access to Turnpike, I95, Town Center Mall, beaches, shops and restaurants. 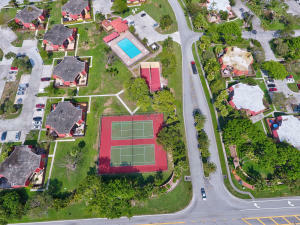 'A' rated schools and walking distance to the elementary school.